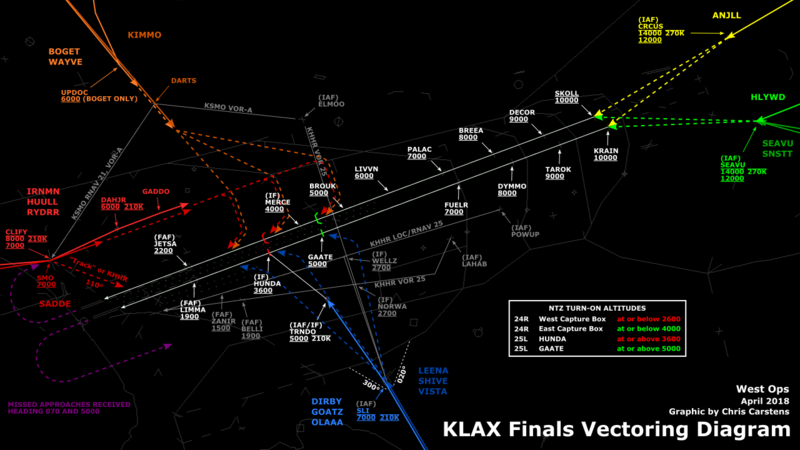 LAX_U_APP: "AAL123, fly heading 230 to join final, cleared visual approach, runway 24R." Simultaneous visual approaches may also be used with converging runways as long as the flight paths to those runways do not intersect. 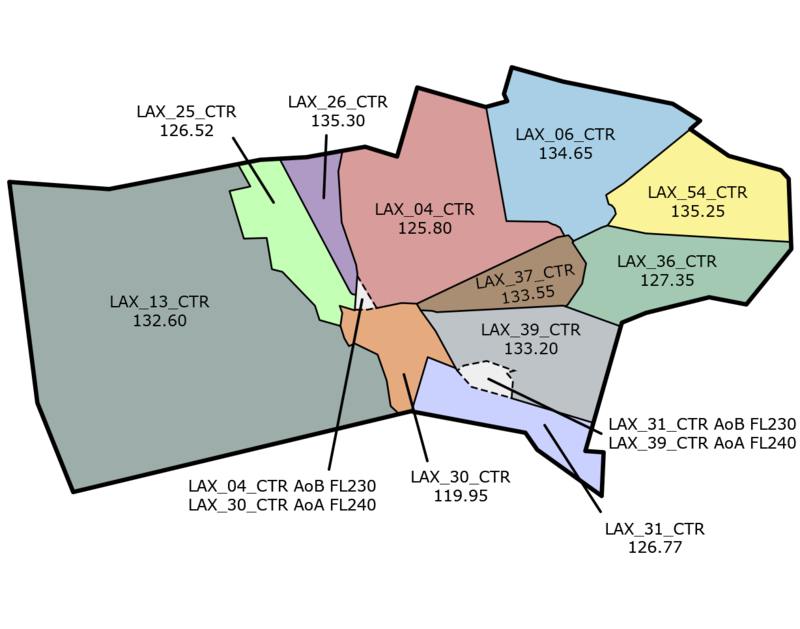 For example, at LAS, aircraft may be cleared for visual approaches to runways 26L and 19R (it is also permissible to have one aircraft on an instrument approach and the other on a visual approach) and may both land simultaneously, even though they will be a little over 2 miles apart at the thresholds. In this case, neither pilot has to report the other in sight. 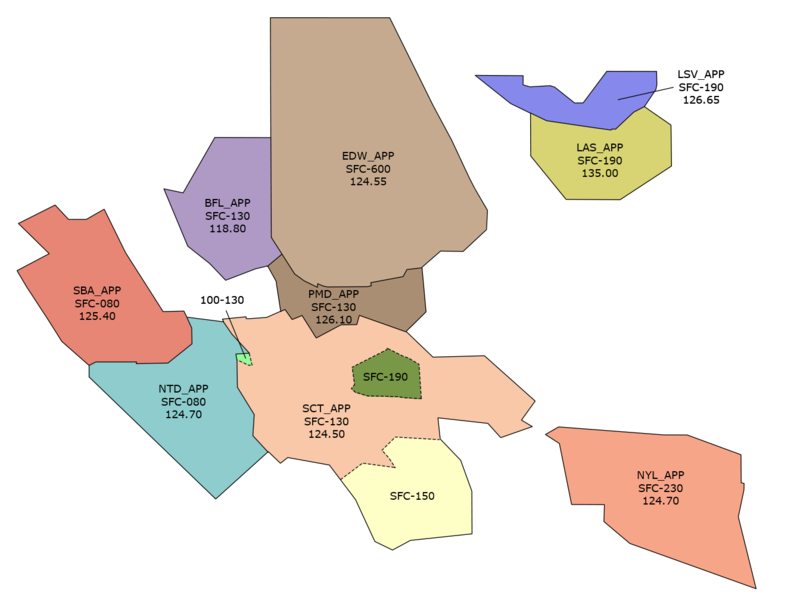 However, this rule may not be used for aircraft approaching 1L and 8R since the flight paths intersect at the 1L threshold. When applying this rule, you should also consider runway separation if using intersecting runways. 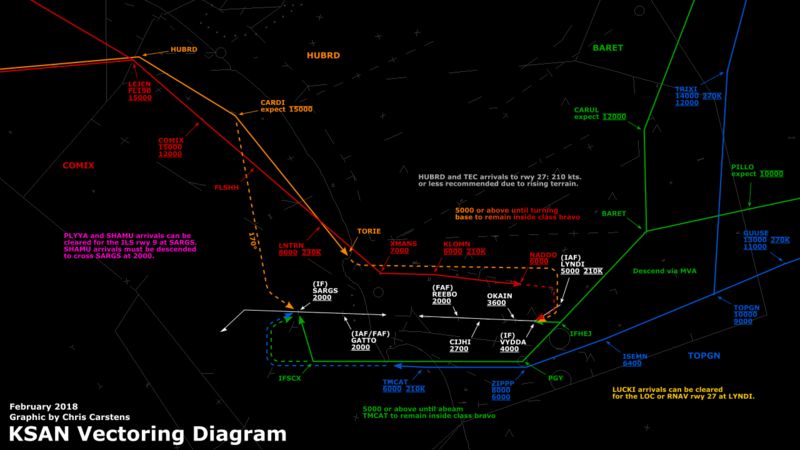 At LAS, this wouldn’t be a problem between 26L and 19R since they don’t intersect. If you used this rule to allow simultaneous visual approaches between runways 8 and 15 at BUR, you might create a problem if both aircraft were trying to land at the same time (using Land and Hold Short Operations might help, but there’s not a lot of runway available at BUR). You may also use simultaneous visual approaches to any two parallel runways as long as the trailing aircraft has the leading aircraft in sight and is able to maintain visual separation. In this case, the controller must maintain standard IFR separation, until the pilot accepts visual separation. You must also consider relative speeds in this case. You may not permit a super or heavy aircraft to overtake another aircraft. You may also not permit a B757 or other large aircraft to overtake a small aircraft (these two provisions only apply to this paragraph, not the previous two paragraphs). 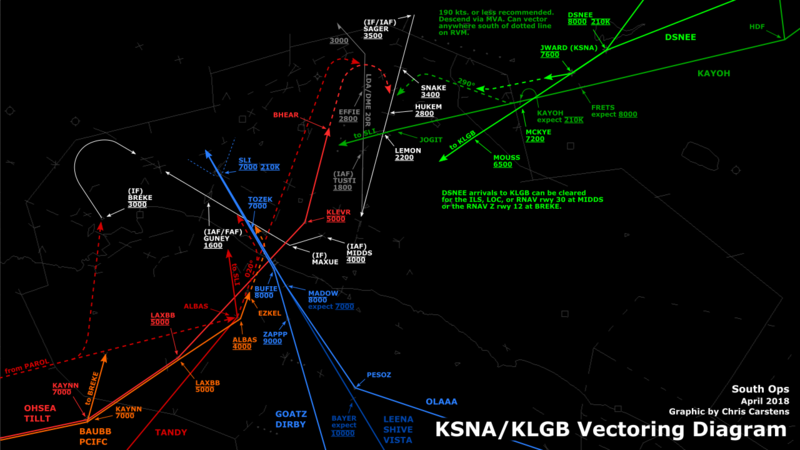 If you follow these rules, you may permit simultaneous visual approaches to closely spaced parallel runways (it is also permissible to have one aircraft on an instrument approach and the other on a visual approach), like 24R and 24L at LAX, 26L and 26R at ONT, 26L and 26R at LAS, etc. The key requirement here is that at least one pilot must agree to maintain visual separation from the other prior to the aircraft losing standard IFR separation.